My home is located by Comanche Lookout. Fossils found in this historical area date back to 9,200 B.C.. It is the fourth highest point in Bexar County. Comanche Lookout was part of the Camino Real that was established during the time of Spanish rule. When I first moved into the area, the city was discussing how this land would be developed. Neighborhood groups were formed to provide input to help preserve this historical area. The elementary school where I taught is located across the street from the back side of the park. In the early ’90’s, I was teaching fifth grade. I had my students invite the city council person for our district to come to our school and visit the Comanche Lookout. They greeted him with signs of “We Love Comanche Lookout”, and we presented our ideas. The city developed the 96 acre park. The Semmes Library is located adjacent to the park. My students and I would hike up the trails to the library. We also took many nature observation and science trips. I live within walking distance to the park, and I used to include this route in my daily walks. This year, I have been opting for walking shorter distances. Today, I decided to once again enjoy the beautiful natural resources this park provides. Since I just finished two quilts, it was time to look around for some inspiration, so of course I wanted to go to the library. The park itself provided an atmosphere conducive to thinking. The weather is just perfect for a comfortable hike, and I need to take advantage of this while it lasts. Backpacks come in handy on these walks to the library. I came home with a good selection of books to get me started. One of the books was The New Bohemians, by Justina Blakeney. It was recommended by Tierney and I sure am happy that it was at the library. Thanks, Tierney!There is a small room that I will be decorating in the near future. Fussy Cutters Club, by Angie Wilson, has some great tips for a project that my friends and I are planning for the summer. We plan to go to La Grange, Texas and meet up with another friend who lives near by. We are renting a B &B and having our own sewing retreat where we will be working on a house quilt pattern. We will be fussy cutting people, characters, and animal fabric to add to the house block. Scandinavian Stitches, by Kajsa Wikman, has some cute ideas and tips for making small seasonal projects. 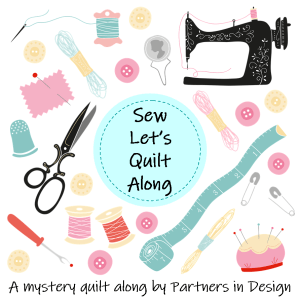 I continue to want to develop free-motion skills, so I checked out First Steps to free-motion quilting by Christina Cameli. I am still reading through Sneaky Piecing by Beth Ferrier. It was recommended by Mary Puckett. I’m glad I purchased this one, because it is a good resource to have on hand. Park Entry from the library. My plan is to continue these walks to and through Comanche Lookout as long as we have this spring weather. More library days ahead. I will enjoy these spring days since summer comes way to soon in Texas. I am so glad you were able to find the New Bohemians! Nice library stack!